A journey by boat from Luxor to Aswan is one the loveliest tripsy you will ever make. The journey from L uxor to Aswan ona dahabiya, the traditional sailing cruisers that ply the Nile today as they have done for millennia, takes around six days – and will be amongst the most rewarding weeks you will ever spend travelling. Most of your time on the boat is spent up on deck, watching the landscape slipping silently by, disembarking at regular intervals to admire a nearby temple, a pharaoh’s tomb, or simply the ever-present desert. The berths and beds on board are very comfortable, but the best way to enjoy your time on dry land is with a night in one of the region’s many beautiful hotels. Passengers can let themselves be pampered at the beginning and end of this journey through time: in Luxor, the Al Moudira Hotel is a delight, and in Aswan, visitors can stop off at the Old Cataract Hotel, where Agatha Christie was once inspired to write her novel Death on the Nile. The hotel, now part of the Sofitel chain, reopens its doors in September after a renovation. Stuttgart also makes a good impression as a centre of art and culture. 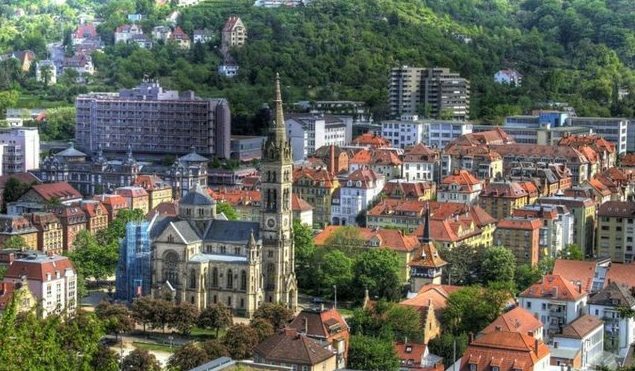 Stuttgart is probably best-known as a commercial and industrial hub, the city where some of the world’s most highly-esteemed cars are designed and built. The luxury cars that have been rolling off the production lines of Porsche and Mercedes for decades now are some of Germany’s best-known industrial products, bywords for the highest-quality engineering on the planet. Both car makers have built museums which tell the story of their respective brands, and are well worth a look. The Porsche Museum is also impressive thanks to its architecture, designed by Viennese architects Delugan Meissl. Stuttgart also has a striking museum of modern art in the shape of its Kunstmuseum, currently home to a fascinating exhibition on Austrian anthroposophist and esoteric Rudolf Steiner. Anybody who has suffered Delhi’s tired infrastructure in the past can cheer up: things are getting better. Last year, New Delhi was the venue of the common wealth Games, the world’s second- largest sporting event after the Olympic Games, reason enough for the county and its capital to inject new life into its creaking tourist infrastructure. Although it wasn’t possible to finish all the projects on schedule, visitors are now benefiting from a host of shiny new high-tech facilities. The generously-proportioned new airport is now fully up and running, for instance, and a fast airport train takes guests straight to the heart of the city. A number of new hotels also opened their doors for the Commonwealth Games, the most impressive of which is the new Oberoi Hotel in the business and shopping city of Gurgaon on the outskirts of Delhi. The Oberoi not only boasts India’s largest swimming pool, but also modern design, excellent restaurants and bars, and outstanding conference facilities.